A properly fitted ostomy pouch is essential to minimize stomal and skin irritation and obtain optimum pouch wear time. A stoma measuring guide allows correct measurement of the stoma. Measure the stoma accurately. Select the smallest barrier opening which fits comfortably around the stoma without actually touching it. Too large an opening will leave skin exposed and could lead to skin irritation or erosion. 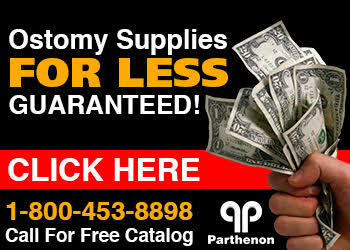 Parthenon is a leading distributor of ostomy products. We proudly sell the complete line of Hollister ostomy supplies. Not only that, we will beat any advertised price in the country! Try us out next time you are shopping. You and your wallet will be glad you did.